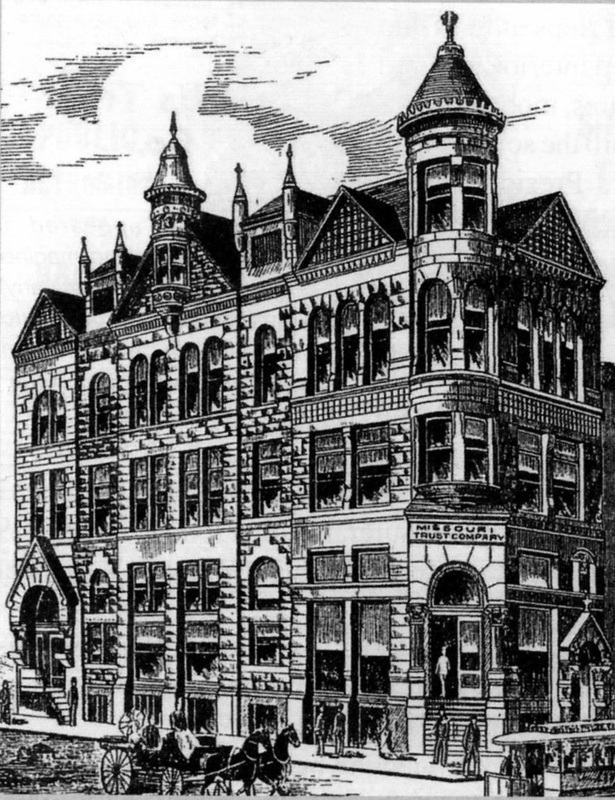 The Missouri Trust Building was acquired by the Sedalia/Pettis County Redevelopment Corporation in 1998 after a fire that burned through the roof. The Corporation, with donations from the community and a $75,000 loan from the State of Missouri Department of Natural Resources Historic Preservation Fund, constructed a new roof to protect the building from demolition. In subsequent years the building interior was demolished to “bare bones” to prevent growth of mold and other potential problems. Today, a new non-profit organization, the Friends of the Sedalia Trust, is now ramping up efforts to locate a qualified developer to restore the building and return it to productive use. 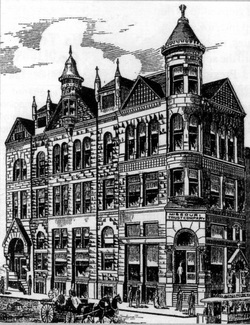 While the Trust Building is in Sedalia's designated Historic Commercial District, it was individually listed on the National Register of Historic Places in 1983. As an individually listed property, the Trust Building would be eligible for federal and state rehabilitation tax credits. The federal credit is equal to 20% of the qualified rehabilitation expenses and is available to income-producing depreciable properties only. The Missouri credits equal 25% of the qualified rehabilitation expenses. It can be used for income producing depreciable properties or as an owner’s personal residence. More information about the two credits can be found here. The property was financed by the Missouri Historic Preservation Revolving Fund in 1999 and has a restrictive covenant to ensure the long term preservation of the property. All proposed rehabilitation work on the property will be required to be completed in accordance with the Secretary of the Interior’s Standards for Rehabilitation, as found in the Code of Federal Regulations (36 CFR 67.7). A copy of the Standards can be found here. Since 2014, the Friends of the Sedalia Trust has supervised stabilization efforts to preserve the building, including the demolition and replacement of the building's north wall. See the blog for a summary of additional actions. Of the building's 11,250 square feet, approximately 2,400 square feet is found on each of levels one through four. A full basement and an attic area offer further options. Level 1 also is the home of a massive vault door still on its hinges. An elevator shaft is also incorporated in the floorplan. The building adjacent to the north is also included in the sale of the Trust Building. This building (approximately 50 x 90) could provide important accessory uses to the main floor of the Trust, or it could be partially demolished on the rear to provide private parking for upper level residents in the renovated Trust Building. See photos in the Gallery. Contact us for more information on acquiring and restoring the Sedalia Trust Building.